Hollywood actress Gwyneth Paltrow has given birth to her first child, a girl named Apple Blythe Alison Martin, a spokesman announced on Saturday. Paltrow, 31, and her British husband Chris Martin, 27, lead singer of the band Coldplay, said they were "ecstatic" after the baby was delivered on Friday following a long labor at a London hospital. "We are 900 miles over the moon," the couple said in a statement released by Martin's spokesman Murray Chalmers. "We would like to thank everyone at the hospital who have looked after us amazingly," the statement said. Even though much has been written about the couple having retrofitted their London home with a birthing pool and more, the whopping big Apple -- 9 pounds, 11 ounces -- was born at a London hospital after "a long labor." "Both mother and baby are very well," the statement added. Photographs printed in The New York Post showed a smiling Paltrow and Martin out and about for a stroll with their new daughter in a park near their London home. 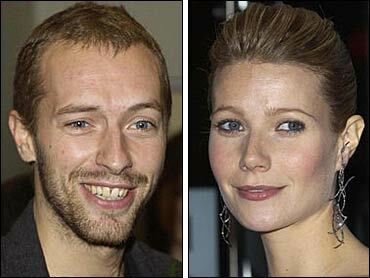 Paltrow, who was once engaged to Brad Pitt and dated actor Ben Affleck, met Martin backstage at a Coldplay concert in 2002. The couple married in a secret ceremony in southern California last December. Friends say Martin proved a huge support for Paltrow after the sudden death in October 2002 of her father, film director Bruce Paltrow. Martin and the quartet Coldplay have enjoyed huge global success since their acclaimed debut album "Parachutes" in 2000. They won a coveted Grammy Award for their single, "Clocks," in February. Paltrow won a best actress Oscar for the 1998 film "Shakespeare in Love" and recently played the late poet Sylvia Plath.